How do I ride a hunter with a very soft mouth without losing/throwing away my connection? I would like to know some exercises to keep the horse connected without getting behind the bit or taking offense to a soft hand in the lightest bit. In particular, on a hunter who you prefer to go with a longer neck and nose out slightly, but who over-flexes when there is any contact. I think that the answer to this question is the same as to most questions, and that is “forward”. 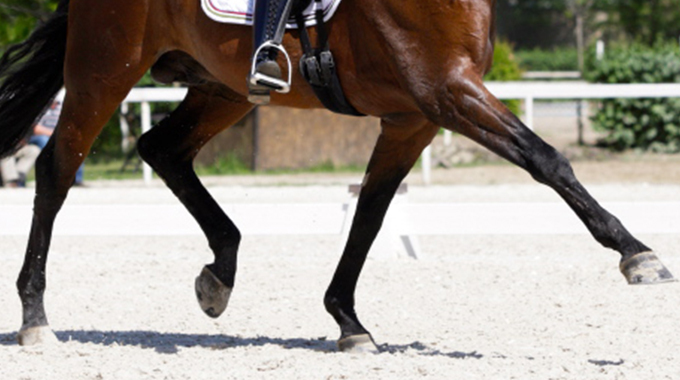 In your flatwork, as a start, be sure that you are riding your horse forward to the point that he is using his hind end enough that he actually starts to reach out and down a bit with his head and neck. In the beginning this will be quite forward in all gaits, but as with all training, everything has to start at the beginning. As you get your horse working forward enough to use his head and neck, the next step would be to ask him to go a bit more forward still in hopes that you can start to establish contact with the mouth. 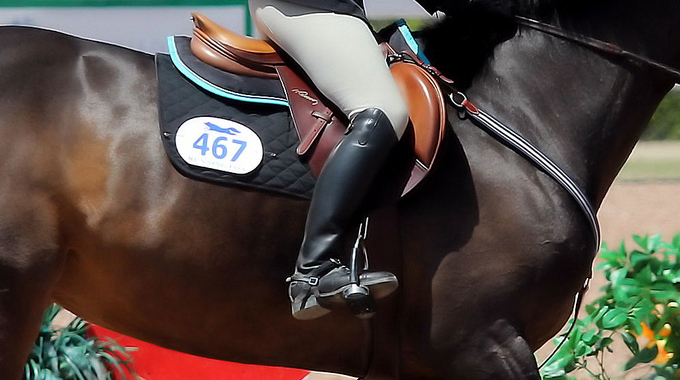 This will be easiest in the beginning in the posting trot and the slow gallop, and you might have to work a bit above the pace, but with enough forward riding you will establish the contact that you are looking for. I think that tack is an obvious factor as well. I have a horse now that we struggled with that had the exact same problem. We started with a rubber snaffle, and we now have him working enough on contact that we are using a plain D bit snaffle at home, and a twisted full cheek at the show. 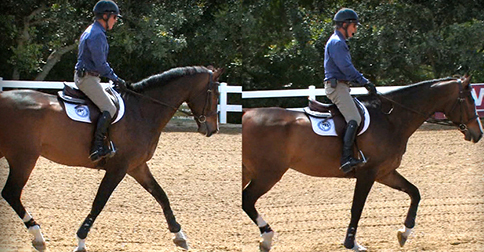 Our horse wanted to work without contact and above the bit, so a standing martingale helped us in our process as well. 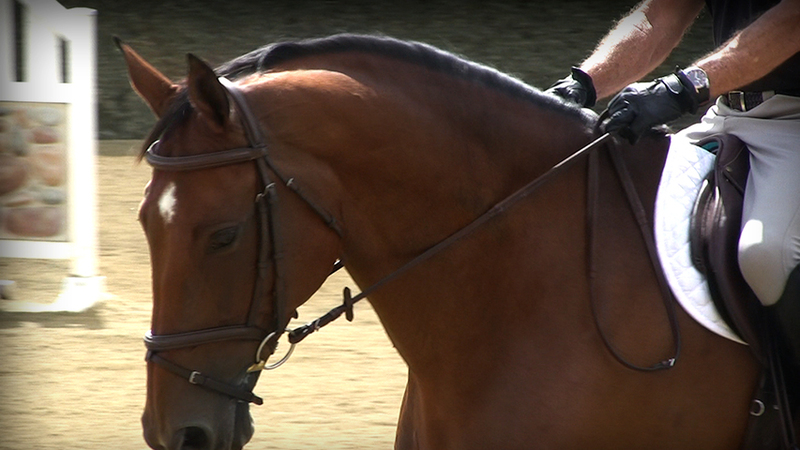 I am a fan of martingales as an aid to help horses understand hands. As you get your contact sorted out on the flat in the posting trot and slow gallop, you can go in two different directions to hone your horse’s skills. One would be to introduce some slow work (sitting trot and canter) still working the horse forward enough that he is reaching out and down with his neck and actually starting to establish contact or even pull a little bit. The other direction would be to start to introduce rails and low jumps with your faster work (specifically a slow gallop). The same principles apply here, in that you will need to ride the horse forward enough that he wants to use his head and neck. My experience has been that no matter what the training issues are, the best and most long lasting solutions are always about getting back to the basics. If you find yourself getting side tracked with complicated exercises or unorthodox tack, you are probably heading down the wrong road. 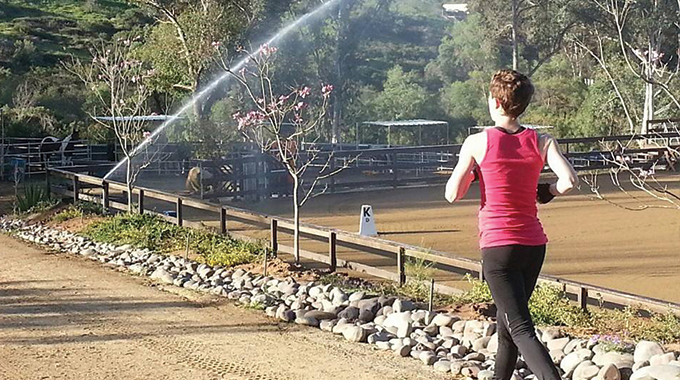 Remember, we are trying to train the horse to go forward, straight, and to look for the ground. This in itself will establish the contact you are looking for. It requires patience and time, but not tricks. 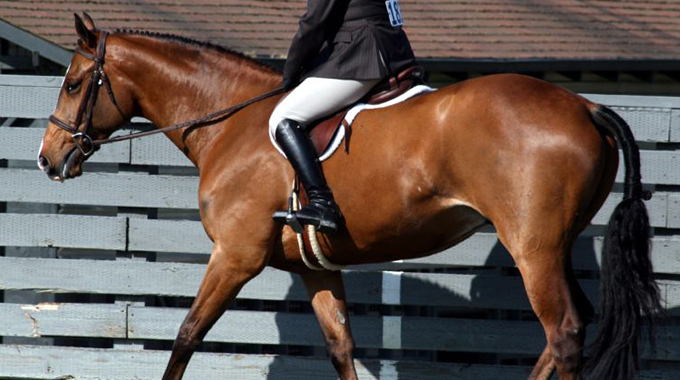 Julie Winkel has a blog post on a similar issue called, “Teaching Your Horse To Stretch Their Neck Out In A Hunter Under Saddle Class”.